This Peanut Butter Fudge Pie is over the top delicious! A fudge layer is topped with a peanut butter crumble, then the whole thing is served with a delicious salted peanut butter caramel. I have said it before, but one of my favorite parts of blogging is that it brings people into my life who I would have never “met” otherwise. One of those people is Joanne. I have been following Joanne’s blog for who knows how long. Years. Although we have never met in person, I know that she is one of those people who I know I could be friends with. Joanne is always open about sharing her life on her blog – Eats Well With Others. I think that is what drew me to her in the first place. I feel like she is always just talking to me as a friend. (Well, that and how she is one of those people who make eating vegetarian looks so amazingly delicious.) I have been following Joanne’s story for years – where she started out as a young medical student in New York looking for love. Her dating stories were always entertaining. But I was so excited for her when she finally found Mr. Right. The.Boy. 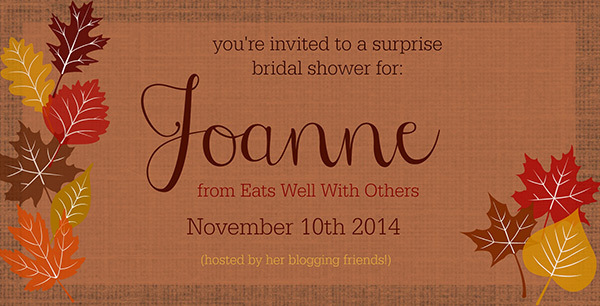 And today, some of her blog friends and I have gathered together to throw her a virtual bridal shower. Because we all love her and are so incredibly excited for her and the new adventures ahead of her. When I sat down to brainstorm what to make for her virtual shower, I had a few ideas in mind, but nothing solid. And then we were at my in-laws for dinner one night, and as I sat down on the couch, I started looking through the magazines that were sitting on the table. And then I saw it. The cover of Country Living. And this pie. And just like that, I knew Joanne would LOVE this pie. You want to know how I definitely now know that she will love it? Just check out this Chocolate Pudding Slab Pie with Peanut Butter Mascarpone Whipped Cream that she just posted a couple of days ago. Chocolate – check! Peanut butter – check! Pie crust – check! I totally think we are on the same wavelength. But seriously, you guys – this Peanut Butter Fudge Pie. I know that the typical choices on Thanksgiving are pumpkin and apple and pecan, but I say you change things up this year and go with chocolate and peanut butter. Because chocolate and peanut butter. Can you really go wrong with that combination? This Peanut Butter Fudge Pie is definitely decadent and rich. And did I mention the Salted Peanut Butter Caramel Sauce? No – this is not just caramel sauce, but you actually add peanut butter to the caramel and it totally takes it to the next level. You can always make your own caramel sauce, but for some reason, I found 3 unopened jars of caramel sauce in my pantry, so I was happy to get to use one up for this pie. Definitely not your typical Thanksgiving pie, this Peanut Butter Fudge Pie has a rich fudge layer that is topped by a peanut butter crumble. 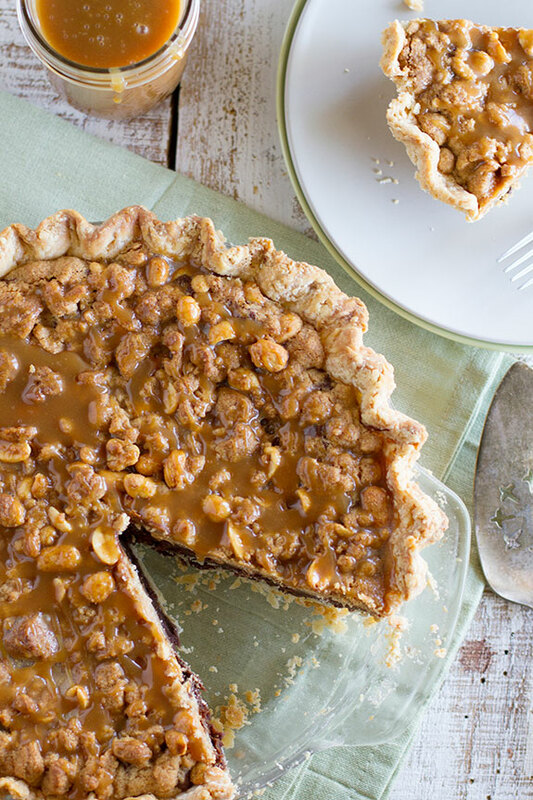 Once the pie is baked, you top the whole thing with the Salted Peanut Butter Caramel Sauce. And then more sauce when you serve the pie. 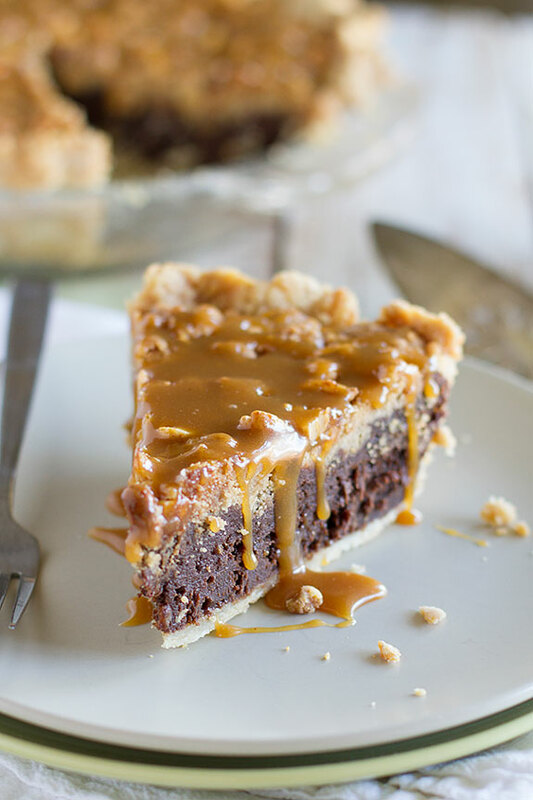 If you are a chocolate and peanut butter lover, this pie is for you!! Congratulations, Joanne – I’m so very excited for you and wish I was there in person to celebrate with you!! This pie is over the top delicious! A fudge layer is topped with a peanut butter crumble, then the whole thing is served with a delicious salted peanut butter caramel. Preheat the oven to 350ºF. Roll out the pie crust and fit it in an 9-inch pie plate. Flute the edges as desired, then place the pan in the refrigerator or freezer until ready to fill. In a bowl, combine 1/4 cup of the softened butter, 1/4 cup peanut butter, 1/4 cup of the brown sugar and 1/2 cup flour. Cut together until combined, then stir in the peanuts. Freeze for 15 minutes. In a double boiler, combine the chocolate and the remaining 3/4 cup butter. Heat until melted and combined. 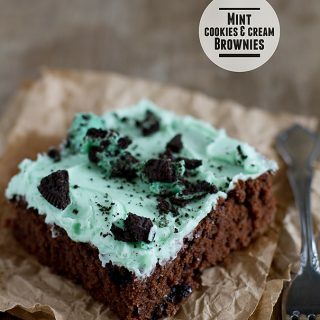 Alternately, place in a microwave safe bowl and microwave in 30 second intervals until they are melted and combined. Whisk in the granulated sugar, cocoa, and 1 cup of remaining brown sugar. 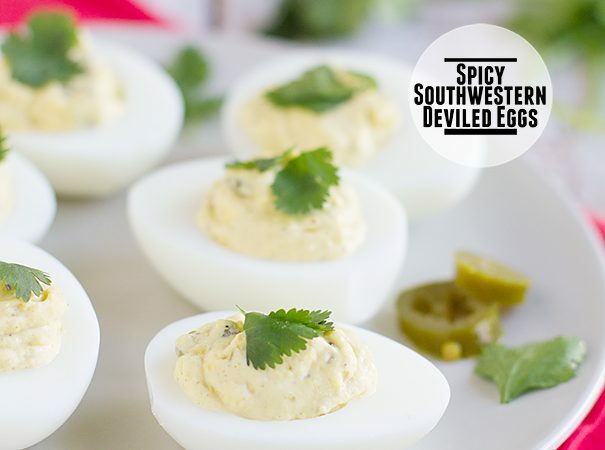 Whisk in the eggs one at a time. Add in the vanilla, salt and remaining 3/4 cup of flour. Pour the mixture into the prepared pie crust. Take the peanut butter topping from the freezer and crumble over the top of the chocolate later. Bake the pie for 50-55 minutes, or until the center of the pie puffs and sets. Remove from the oven and cool for 20 minutes. In a small bowl, combine the caramel sauce, the remaining 1/4 cup peanut butter and the salt. 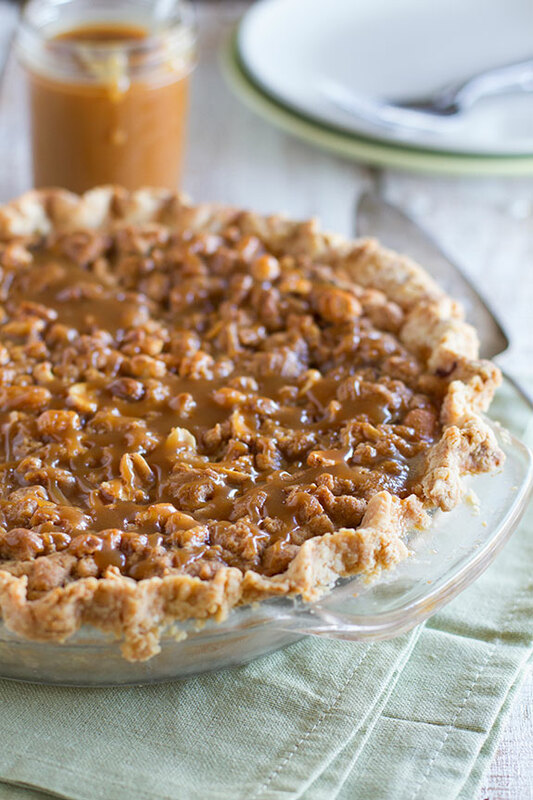 Drizzle 4 tablespoons of the caramel over the pie, then allow the pie to cool completely. Serve with the remaining caramel sauce for drizzling over each slice. *I love salt, so I used salted peanuts. If you are more sensitive to salt, use unsalted peanuts. 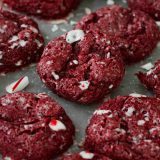 You’ll want to check out what everyone else is bringing to the party. Now this is a party I wish was in real life instead of virtual!! Whoa! This pie is incredible!!! Ahhhhh this flavour is insanely delicious looking!! 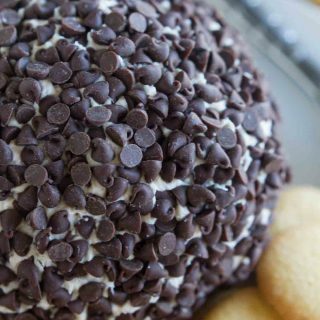 The next time I need a dessert this is what I am making. Peanut butter, fudge, and caramel? Oh my good grief that makes my taste buds sing! I am happy crying, you are so sweet!! And girl, we totally need to meet in person one of these days…it is ridiculous that we haven’t! 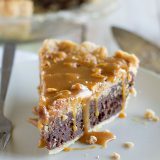 You hit the nail on the head with this pie…I have been all about the peanut butter chocolate combo lately and I see this making an appearance on my Thanksgiving table! 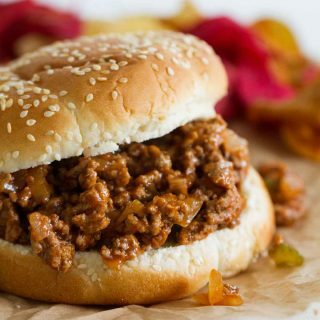 Whoa, I can see why you were drawn to this recipe… it looks simply outrageous! I’d love a piece of this pie right now! The caramel drizzle is a total bonus! Everyone knows Joanne so well. You can’t go wrong with squash, pasta, peanut butter, or chocolate. You nailed it. Looks awesome! And you know…PIE. Oh my gosh – this is totally over the top. Love it! And Joanne is just the best. This is a great way to celebrate her today! This looks incredible! Love the sound of the salted peanut butter caramel sauce! I made an inhuman noise when I saw this. For reals, this looks AMAZING!!!! Woah this pie looks amazing and is SO Joanne! It’s also so me as I am obsessed with these flavors as well! 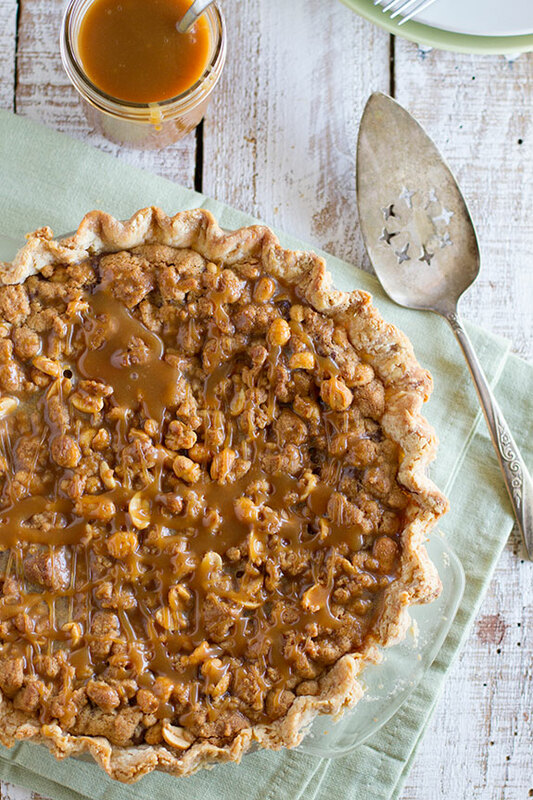 What a gorgeous pie, love that salted peanut butter caramel! OMG Deborah!! THIS PIE!! Amazeballs. Peanut butter and chocolate is the best flavor combo EVER and then you add crumb topping and caramel sauce??? Kill me now. The moment I saw this pie, I knew you were right on Joanne’s wavelength with that slab pie she posted a few days ago. This looks so, so good! I cannot even imagine how delicious this pie is, what a combination! Love this pie and Joanne! That pie looks incredible! The caramel dripping from the sides…oh heaven! What a special way to celebrate Joanne!! And this pie – my-oh oh-my-oh!! Over the top delicious is right!!! Holy wow, Deborah, this pie is a smash hit! I can’t stop looking at it! Pinned! I love everything about this!! Peanut butter and caramel? Kill me now! Do you think it would be ok to make the crumble without the peanuts and I was thinking substituting rice krispies for crunch? Then I could sprinkle peanuts later over whoever wants one on a slice. Are they ok with peanut butter? The top layer of the pie does have peanut butter along with the peanuts, so if it’s an allergy, you’d need to sub out the peanut butter, too. If it’s just a matter of not liking the nuts, I think rice krispies would be a fun change! Do you think you could use a brownie mix for the base of the pie? Then do the peanut butter crumble topping with caramel? I haven’t tried it, so I can’t say for sure, but I’m guessing it would work! 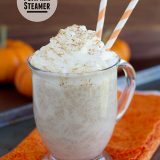 Making this tonight for Thanksgiving tomorrow! Do you think I should put the 4 TB of caramel sauce tonight or wait until before dinner tomorrow? I’ll wait for the drizzle for sure but wasn’t sure on the rest. And store at room temp until served? Thanks! If I’m not too late – I put the 4 TB of caramel on the pie the day I made it, then refrigerated it overnight. The next day, before serving, I put a little bit more of the caramel on top. Hope you love it – happy Thanksgiving! 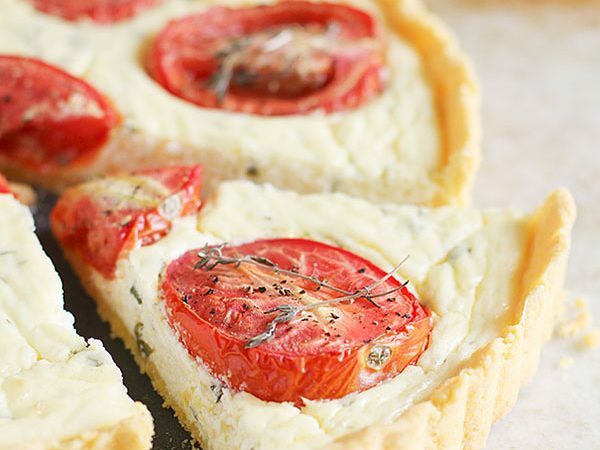 The crust isn’t pre-baked in this recipe. You fill the raw crust and it bakes as the pie bakes. Hi, this looks incredible. Has anyone made it yet or reviewed it? I wanted to find out should this be served warm, room temperature or cold? 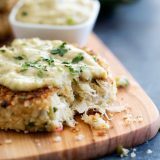 I want to make this for thanksgiving, and understand that I can put it in the fridge overnight, but then should I let it sit out before serving? I thought it was best at room temperature. I did eat some straight out of the fridge, and it was delicious, but I think it’s easier to eat when it is at room temp, so I would let it sit out before serving. 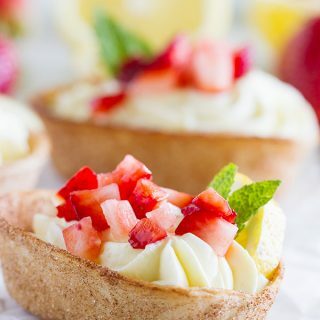 Has anyone tried making this pie in individual tart shells? I made the pie in a purchased 9″ pie crust and there was too much filling for the crust. But it was delicious. So trying to figure out how to make it without wasting some of the filling.